Two juveniles linked to a string of house burglaries in Maitland were arrested on Wednesday, according to police reports. Maitland police claim the two are also connected to numerous other break-ins in Orange and Seminole counties. Some stolen items, which included electronics, purses and televisions, were recovered at the suspects’ homes, according to police. The burglaries allegedly started in Maitland on June 6. The suspects have been taken into custody and were transported to the Maitland Police Department for further questioning. No further information has been disclosed regarding the alleged burglaries. 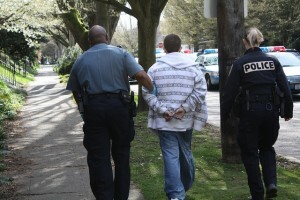 Juvenile criminal cases are handled differently than those of adults. The criminal courts recognize that those under the age of 18 are often unable to comprehend their behaviors and actions or understand the consequences in the same way as an adult’s brain does. Because of this, the court system puts an emphasis on rehabilitation when it comes to handling these cases. Just like adults, a minor can invoke their right to remain silent and their right to a juvenile defense attorney. This is very important because an attorney should be contacted before a minor has any interactions with police. Understand that police are not required to tell the truth when questioning minors, so they often try to employ tactics that trick juveniles into giving incriminating statements. An Orange County Criminal Defense Lawyer at Whittel & Melton can help you if your child has been accused of or charged with a criminal offense. When it comes to your child’s defense, our main goal is to preserve your child’s record so he or she can walk away from this experience without suffering long-term effects. We know that keeping children out of the criminal justice system is central for protecting their future. Do not let your child be coerced into pleading guilty to a juvenile offense. The last thing you want for your child is to have them enter adulthood with a stain on their criminal record. Contact an Orange County Juvenile Crimes Defense Attorney at Whittel & Melton today online or call 866-608-5529. We offer a free case evaluation.